i have done Btech in instrumentation engineering AND want to appear for gate in PE …is it possible. Yes it is possible but you will face issues when you are going to use this GATE score for Higher Education as well as for PSU jobs. Can u tell about reference book which is more beneficial for P E examination. Is there any book of MCQ for Petroleum stream. This is the first time when petroleum engineering is added in GATE papers list. So it is not possible to provide you weightage marks for petroleum engineering. This is the first time when petroleum engineering is added in GATE papers list. So it is not possible to provide you cut-off marks for petroleum engineering. Try to get as much as marks possible. Because petroleum engineering would not have much seats in PSUs. Dear Sir, is there any coaching for gate for PE students? Currently we dont have certain info about any such coaching institute. If we find any we will notify you here. could u please tell me minimum how much one has to score to get a call from ongc or iocl for petroleum engineering paper? I know PE is included for the first in gate so nothing definitive cannot be said,but a good guess from an experienced person will be halpfull…thnk u.. Analysis is always based upon previous years papers analysis, level of paper and many more factors but if there is no paper then there is no analysis. also tell me how we can prepare ? We haven’t wrote any certain post specially for PE aspirants but we have wrote many common posts related to GATE exam preparation you may follow them. First you have to have a book of previous GATE 15-20 years papers and atleast one standard book of each subject. 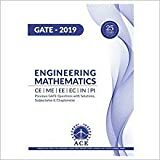 All books required for GATE exam preparation in Engineering are mentioned in below link. sir , please tell me ,what will cutoff of this year gate in petroleum engineering. Can you please tell me what kind of pattern will we have for PE GATE 2016. Will it be more of conceptual based (theoritical) or it will be numerical? What do you think about it? 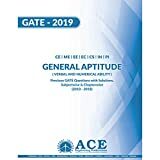 GATE exam is known for mix of theoretical as well as numerical questions in the paper. So you have to prepare both of these very well. You may get idea from any subject which is closely related to this subject and was in the list of GATE paper since very long time. I am a recent graduate of Geoscience Engineering from University of Petroleum & Energy Studies, UPES. I have done extensive work in Drilling Fluids and am planning to give GATE through PE. 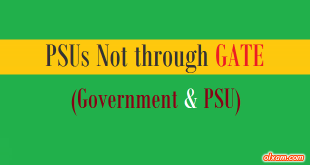 Am I eligible for giving GATE through PE and apply in PSUs? Yes you can attend GATE paper in PE. But most of the PSUs demand B E / B Tech in PE for PE related posts. There could be trouble for you. They are recruiting PE engineers using GATE 2016 score. I have completed my Btech In Applied Petroleum Engineering. Can you please tell me is there any coaching institute which conducts classes for Petroleum Engineering for Gate 2016, or if they have some course material or sample papers. Anything which can help me in my perparations? We will upload study material related to all engineering streams. wait few more days. If I got 800 gate 2015 score then how much I get from 60 marks in ongc gt recruitment??? sir, i firstly appreciate your work. I’m presently studying 3rd year B.Tech petroleum engineering. I had 2 doubts about gate. may i eligible for gate 2016 and can we get those gate reference books freely ???……. No, Only final year or pass out candidates can apply. Reference books provided in our reference books list for PE are not possible to find free of cost you have to purchase them. 1) is there any coaching or crash course for Petroleum Engineering? 2) what are the companies names which are recruiting thru gate 16 pe along with their min elgibility? 3) i have got first class on the degree but not as aggregate, am i eligible for ongc? All semesters / years total marks must be equal or above 60%. I want to know if that is possible and also can you please suggest me how can I prepare for GATE exam. I have tired looking for GATE coaching centres but I could no find any. I have completed M.Sc. Petroleum Technology. may i eligible for GATE 2016 in Petroleum Engg. A candidate who have completed M. Sc. or currently in final year are eligible for GATE 2016. Pl clarify whether B E. chemical engg can apply the paper of Petroleum Engineering or not. First of all I would really like to thank the admin for this outstanding platform he created. Secondly, I would like to exhort all my fellow PE graduates (those preparing for GATE ’16) to join me on Whatsapp 9575820208. From 25th September i am going to start discussions on Drilling and Reservoir. The sessions would be intense and powerpact. sir. can please tell me CPCL AND GSPC recuit petroleum engg through gate 2016? Petroleum engineering was not part of GATE till 2015. It become part of GATE from 2016. So only new notifications of any PSU/organization can only tell that they will recruit Petroleum engineers or not. Whenever any company will recruit at national level for Petroleum engineering we will notify here on this blog. sir ,can you plesae tell me the number of company will recruit petroleum engg.through gate 2016 and their name. Mainly oil and gas based companies will recruit petroleum engineers through GATE 2016. There would be nearly 4-5 such companies. Whenever any company will release their notification through GATE 2016 we will notify here on this blog. You please keep visiting below page for PSUs through GATE 2016.
sir.can you please give some sample papers for gate 2016 petroleum egg. Currently we don’t have any such paper if we find any we will post here. Please be regular with this forum for GATE 2016 related information. Yes there is good chance that IOCL will recruit petroleum engineers using their GATE 2016 score card if there is specific vacancies for petroleum engineers in IOCL for the year 2016. In petroleum engineering subject course, we have to choose subjects and exam or every topics are part of examination. ?